Some Elite Dinarians Have Already Exchanged. We're Next. treat this article as a rumor. There is no positive proof anyone has been paid with the new rate. AND THE WORLD KEEPS ON TURNING DESPITE ANYTHING WE DO. MAYBE CERN WILL MAKE IT GO FASTER AND WE WILL FLY OFF THE PLANET WHETHER WE WANT TO OR NOT. WONDER IF THOSE PHYSICS WILL WORK…. WINGS ANYBODY? ONE COLOR ONLY THOUGH. AND YOU WILL HAVE TO GO TO THE FLYING SNOUT TO GET YOUR FLIGHT CERTIFICATE. TO DATE, THERE HAVE BEEN SOME TEST PAYMENTS MADE ON HISTORIC ASSETS, AND SOME DINAR EXCHANGES, BUT THE BULK OF IT ALL WILL BEGIN THE WEEK OF THE 14TH. THIS TIMING IS PRETTY FIRM NOW. SO IN THAT WEEK, WE SHALL SEE MANY MANY FUNDS BEING RELEASED FOR THE HISTORIC ASSETS, THE PPP, THE CURRENCY, AND MOST IMPORTANTLY FOR ME, THE PROJECT FUNDS. Yea he is a mess skeetdog ! But I really appreciate your humor this morning, nothing like starting the day with a smile! They ain't no rate or date in this article. Did I miss it? So there has been test payments made on historic assets. That by definition means that money was exchanged. Didn't say that there was a test RV rate, or that someone exchanged their IQD for a mysterious rate. Someone else imagined that, or read it in the tea leaves. Perhaps they are perfecting or refining their electronic banking system to develope proof that the people need to see before they place any confidence in the electronic banking system of the 21 st century. Something they have hesitated on to date. gurus whom have dropped out of timothy learys class , soon we will have astral projection gurus !!! Some things in life are hard to grasp but this one isn't hard for me. I don't know about the date but as far as some being able to exchange for testing purposes I agree with him/her. Instead of dreaming about an RV on the IQD...how about you RV your life. Look for my post on the Banking Rule of 400 . Do you OWN YOUR LIFE??? What ever happen to that nut, tim leary? I'll really have to call on this . . . Thanks for the link. A very interesting psychologist indeed. 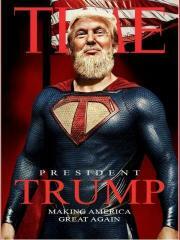 I refuse to treat this as a "rumor" or anything other than what it really is... and that happens to be a FLAT OUT LIE! IMO Luigi needs to head back on over to the Dinar Recaps team where he/she came from. They must have cut his hours or something lol. In country RV says one Guru. We won't see it yet, due to the banking holidays in Iraq. Treat as a rumor. Not varified. Your opine. 1. Word this morning was that late last night May 1 Iraq had RV’d, but the RV didn’t show because Middle Eastern banks and the IMF were closed for May Day. 2. 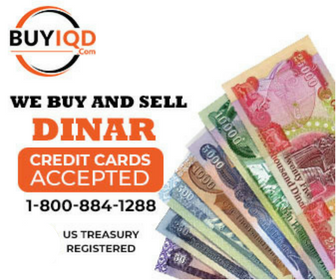 Iraq already had a new in-country Dinar rate, new Dinar rates on their Qi cards, flashing new Dinar rates on bank screens, plus last Sat. April 28 Iraqi citizen’s Qi card funds were supposed to be liquid. 3. Iraq citizens had been receiving financial education on how to trust and use their banks. That formal week of training ended yesterday April 30. 4. The US Military pulled out of Iraq a few days ago, so Iraq could now defend themselves. This showed Iraqi sovereignty. 5. Trump released some funds late last night April 30. 6. Bruce felt that we were next and should go very shortly (in the next day or so), though did not know the timing. 7. Structured payouts may be less than 25 years on currencies other than the Zim. 8. 80% of your funds would be the maximum you could use for your Humanitarian projects. 9. 28 currencies were in this first basket to revalue. Luigi found this latest rumor. Many Gurus have come out recently of new Iraq elections & more RV feasibility studies. This may appear to be foot dragging by GOI. Iraq is not ready is the new word on the street. Maybe President Hillarious will Make the RV call after elections. Luigi promises...Varified will become verified after RV. 4-10-2016 Intel/Newshound Guru Poppy3 you will see A NEW RATE IN JULY...REMEMBER THEY SAID THE FIRST HALF OF 2016 AND WHERE... MYSELF INCLUDED...HAVE BEEN PLANNING ON THE FIRST OF JUNE THEY HAVE BEEN TARGETING JULY OR THE LAST WEEK OF THE FIRST HALF. NOW RUMOR HAS IT THEY ARE MAKING MANY PLANS FOR SEVERAL CHANGES AT ONE TIME THE FIRST WEEK OF JULY. NOW BEFORE WE QUESTION THIS POST...ANSWER ONE QUESTION...HAVE THEY EVER ONCE DONE ANYTHING ON TIME? NEVER HAVE THEY EVER FINISHED ANYTHING ACCORDING TO IMF, UN, WORLD BANK... NEVER...THEY HAVE NEVER IN 12 YEARS MET ANY OF THEIR...DEADLINES ON TIME. I BELIEVE WE...RELAX TILL THE END OF JUNE...THEN GET EXCITED OF POSSIBILITIES IN THAT TIME PERIOD. April 20, 2016 Guru Lobodeoro..
Hey everyone i know it’s not popular, but I have been given info that the RV will not happen until the Window of October 15th-November 15th.The GOI is not ready, Mosul is not ready, the Army is not ready, it’s just not there yet. If that window is not ready expect them to move it to mid 2017. Guru wmawhite is looking ahead to Ramadan. 4-18-2016 Newshound Guru wmawhite [...I BELIEVE MY OWN OPINION THEY WILL DO IT BEFORE THEIR RAMADAN WHICH WILL GIVE THEM A NICE CELEBRATION JUST LIKE WHEN IRAQ GOT RELEASED FROM CHAPTER 7 FEW YEARS BACK.] Ramadan is celebrated inside of Iraq, as with all Muslin countries. A change in the value of the IQD takes place outside of Iraq. When that happens the value of the IQD inside of Iraq is still 1 IQD = 1 IQD...no change. IMO, Ramadan has nothing to do with the eventual change in the IQD. It Looks Like Tues-Thurs Next Week Will Be Exciting To Watch. Luigi found these reads of significance. Not all articles varified. Your opine. The final AIIB/CIPS "performance ping" was sent and received worldwide just after 9pm, after two failed attempts earlier that afternoon (SWIFT equivalent would be MT 760 ping). All US call center and redemption location staff were alerted @ 3PM EST Thursday, simultaneously with cabal "IQD live" announcement (Fox Business News), and prepared for private group conversions... Thursday's "stand down" order came shortly after midnight -- the reason is still unknown. Hearing multiple conversion times are scattered across a weekend timeline because uncertainty is needed to protect military and civilian actors involved in the actual "go" event. Appointment 800#'s have been tested with corresponding zip code assignment, as have all computer conversion / liquidity functions in all 5,500 redemption centers. -THE WORLD IS SIMPLY WAITING ON CHINA TO FIRE ITS SHOT GUN & BEGIN ANOTHER PORTION OF THEIR MASTER PLAN/PROCESS. This source has also been told the actual RV moment will occur effortlessly, like a sunrise climbing over the horizon. So do remain patient, but in a state of readiness in these final hours. Also, descriptions of yesterday's event as "Little Red Caboose Day" were accurate (The Big Call), with anytime Friday or Saturday being the possible "All Aboard! Day." Blackeyepea: I heard its done..Cards loading in the AM..If not more RIOTS and it will get ugly..March 3 is last day Iraq can make WTO in 2016..Iran doesnt wanna go without them. THE INTEL COMING IN ON THE RESET IS FANTASTIC SO PERHAPS WE WILL HAVE SOME EYE OPENERS BY THEN – LOVE AND LIGHT – IN OUR SERVICE. Iraqis Will See Purchasing Power Increase...RV/RI Only Outside Of Iraq. Treat as a rumor until varified. Your opine. 11 Nov 2015 Millionday: THE US DOLLAR RATE WOULD BE ONLY APPLIED OUTSIDE THE COUNTRY — THE PRICES WILL DECIDE THE USE AND NEED OF SMALL DENOMS AND COINS ALONG WITH LARGE NOTES ETC WITHIN THE COUNTRY – BUT THE EXCHANGE VALUE TO ANY OTHER CURRENCY HAS NO APPLICATION TO THE ISSUING OF NEW SERIES EXCEPT THAT IT IS PART OF THE ECONOMIC REFORM AS IS THE GOAL TO GO TO A MARKET ECONOMY AND ALSO THE RATES FOR INTERNATIONAL RATES AND MARKET FIGURES , BANKING ETC 198R: did you get a chance to look at the question i asked you last regard paying in dollar instead of dinar?